A husband and wife team of scientists are isolated on a research station on one of Jupiter’s moons. When they rescue a mysterious stranger from certain death, they unleash an evil that threatens heir own survival. 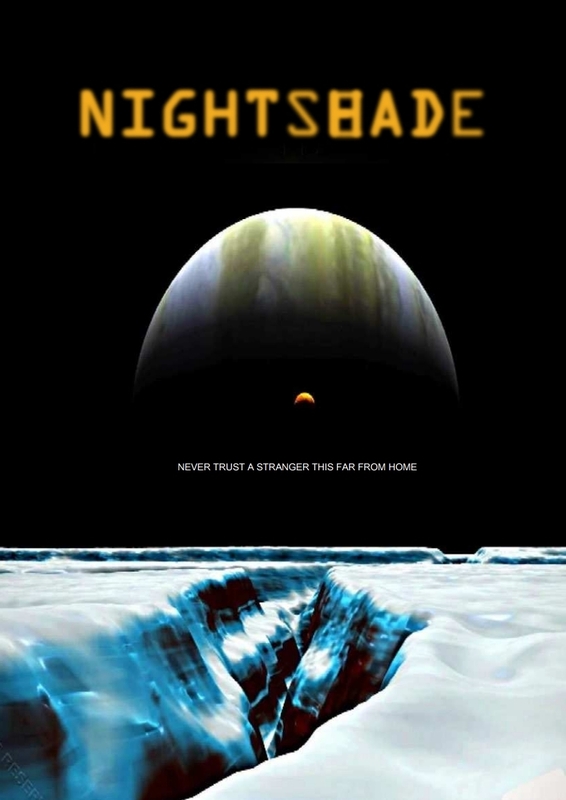 Nightshade is an edge of your seat thriller set 100 years in the future on a moon of Jupiter. Described as Dead Calm in space, it features only three characters throughout the entirety of the movie and is a nail biting, suspense ridden, thrill ride from start to finish. The movie will be VFX based as the locations do not yet exist in the real world. Everything will be created in a computer or film studio and will be a production design challenge but one that we intend to make truly beautiful. The moon featured in the film is covered by ice with Jupiter completely dominating the space above as it is the largest planet in our solar system. The central characters live on a small space station of glass domes immersed in shallow ice and oil well type structures also dominate the landscape. It is in this contained world that our story unfolds as we get to know and be charmed by our two central characters, until their worst nightmare comes crashing in.